Britt Olsen-Ecker is a singer, actor, director, and photographer who as performed with many companies in the Baltimore area. 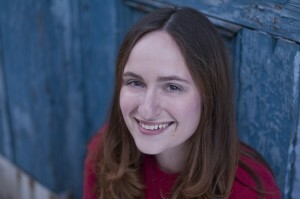 She is a graduate of the Johns Hopkins Peabody Conservatory of Music, where she studied vocal performance.Britt has performed with the Baltimore Rock Opera Society, Glass Mind Theatre, Stillpointe Theatre Initiative, Performance Workshop Theatre, and of course, her beloved Single Carrot Theatre, where she has both acted and done musical direction. Her business, Britt Olsen-Ecker Photography, is entering it’s 8th year this coming January. You can see her work at www.brittolsenecker.com.